Here is a “Green Project” for you to reuse the discarded Mobile phone battery. When I purchased a new Mobile phone, the old one became junk. 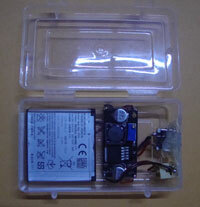 But it has a very good high efficiency and long lasting Lithium Ion battery rated 3.7 V, 1800 mAh. So I decided to reuse the battery for an alternate purpose. 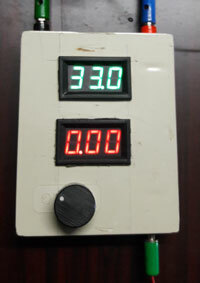 A simple power supply with DC- DC Booster capacity and a White LED emergency light. It can be charged from any USB charger or Laptop. 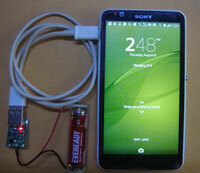 Its output can be adjusted from 3.7V to 37 volts. The DC-DC Booster module boosts 3.7V from the Mobile battery up to 37 volts when turning the pot. The Power supply unit is ideal to power all projects that require 3.7 V to 37V. Its emergency light helps to do work in low light conditions. You have a number of Mobile battery in your Junk box. So try this Green project .It is a worth.